The miRNeasy Serum/Plasma Kit is designed for purification of cell-free total RNA — primarily miRNA and other small RNA — from small volumes of serum and plasma. RNA from serum and plasma typically consists of molecules <100 nucleotides. 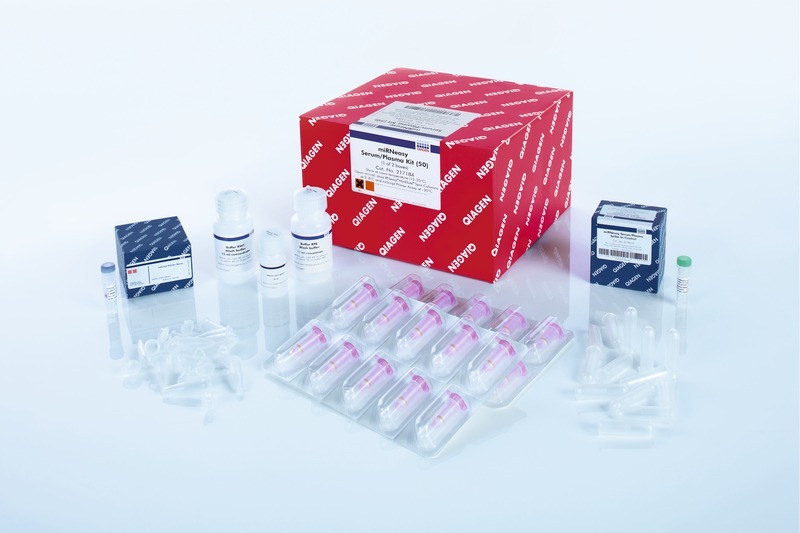 The miRNeasy Serum/Plasma Kit includes a miScript Primer Assay that detects the miRNeasy Serum/Plasma Spike-In Control, providing a convenient system for normalization. The miRNeasy Serum/Plasma Spike-In Control (ordered separately) is a C. elegans miR-39 miRNA mimic and is supplied lyophilized at 10 pmol per tube.